our award- winning Project Management team. Hint: a very famous, kryptonite-allergic news reporter used to work in this building. 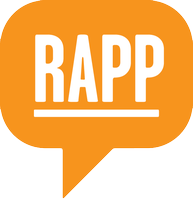 RAPP is located in the historic News Building at 220 E. 42ndSt, where Christopher Reeves Superman was filmed. You have experience managing the internal workflow for CRM & email development projects, collaborates with creative & technical teams, interacts with business managers. You are responsible for producing projects on time & on budget. In your career, you have worked for an advertising & marketing company (or maybe a few). You have led small to medium-sized projects & support senior project management team members on large projects & client engagements. What else? Maybe you're a movie aficionado. Or maybe you have an impressively large vinyl collection? Wed love to know what makes you, you.